Russian empress Maria Feodorovna had supposedly changed a comma to save a life. A parallel can be drawn between the snippet of the Russian history and a charge raised by anti-Gorkha Janmukti Morcha parties in the Darjeeling hills on the wording of an agreement that decided on the annual bonus of tea garden workers. When the czarina came across the document, she changed the comma to read: “Pardon, impossible to send to Siberia.” The change in comma, it is said, saved the life of a man. There are many who refuse to buy the story but nevertheless, this is an accepted example worldwide to show how punctuation and wrong usage of words can make or break situations. In Darjeeling and two centuries later, the Joint Forum, an umbrella body of over 20 unions of tea garden workers, is demanding a change in the bonus agreement. The agreement was signed in Calcutta on October 4. 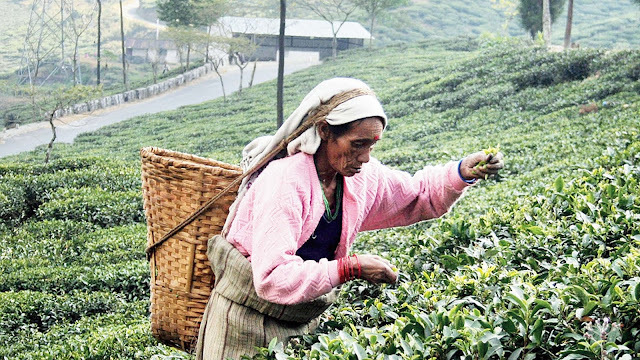 While most operating trade unions from the hills had taken part in the discussions, only the Morcha-affiliated Darjeeling Terai Dooars Plantation Labour Union signed the agreement where the Darjeeling Tea Association agreed to disburse bonus at 15 per cent of workers’ annual earnings. Hence, the forum, which doesn’t have the unions of the Morcha and Trinamul, had frowned on the agreement. The rival parties are training their guns at the Morcha for agreeing to a low rate and have made it an issue in the tea gardens of hills. Against this background, the wording of the bonus settlement has become an issue. “The DTA is deliberately trying to make us party to the agreement. We were only party to discussions. They have to rectify the document,” he told The Telegraph. Sandeep Mukherjee, the principal advisor to the DTA, however, said it was impossible to change the agreement. “How can the agreement be changed when the document has already been signed and circulated. It is a fact that while all unions participated in the discussions, only some leaders (of the Morcha) signed the document. The fact is clear if one takes note of the signatories of the document,” said Mukherjee.